We're getting ready to celebrate with friends & family this weekend. All this week we'll be sharing party & activity ideas to mark the event. First up are our Red White & Blue Picnic Kebabs, a healthy & refreshing way to celebrate in the sunshine! 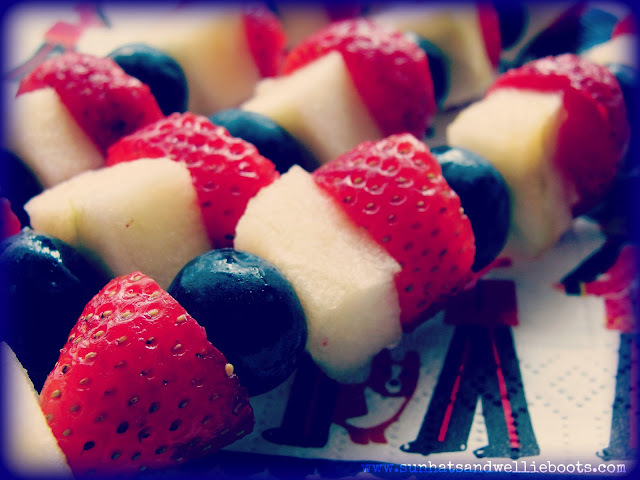 We used strawberries, apples (washed & sliced) & blueberries to represent the red, white & blue of the Union Jack flag, & simply added them to wooden skewers. If you're concerned about oxidation of the apple (browning) you could add lemon juice, but we tend to soak our chopped apple in apple juice. The acidity in the apple juice prevents browning & doesn't alter the flavour of the apple. 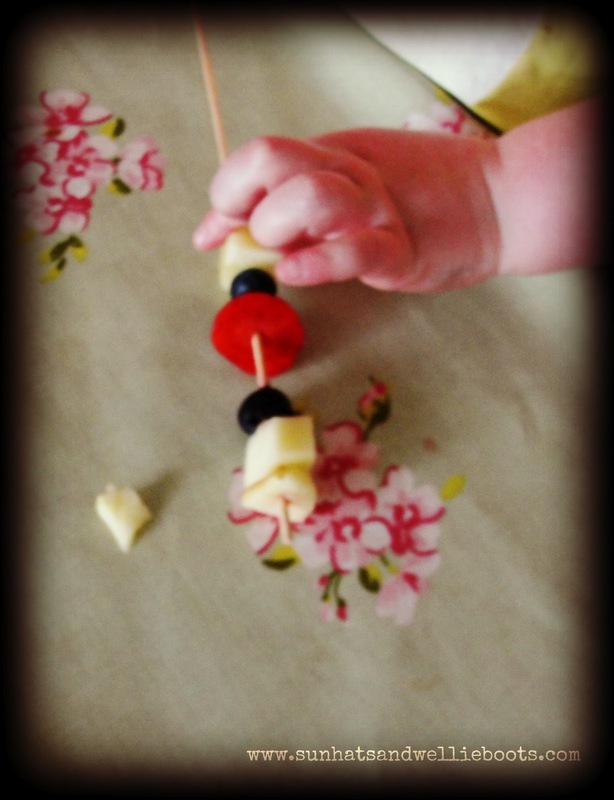 Minnie loved threading the fruit pieces onto the skewer, & of course enjoyed sampling a few during the the process! ;-) Threading the fruit gave us an opportunity to explore pattern, sequencing, colour, number, as well as encourage fine motor skills. These tasty treats could be made with a variety of fruit, & for an extra treat how about serving them with greek yoghurt or ice-cream. 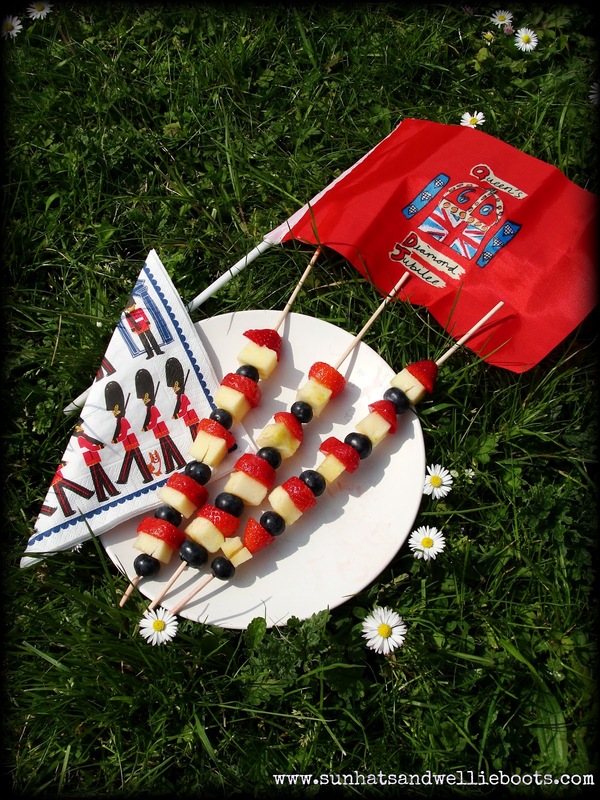 Of course these kebabs would be great for 4th July celebrations too! 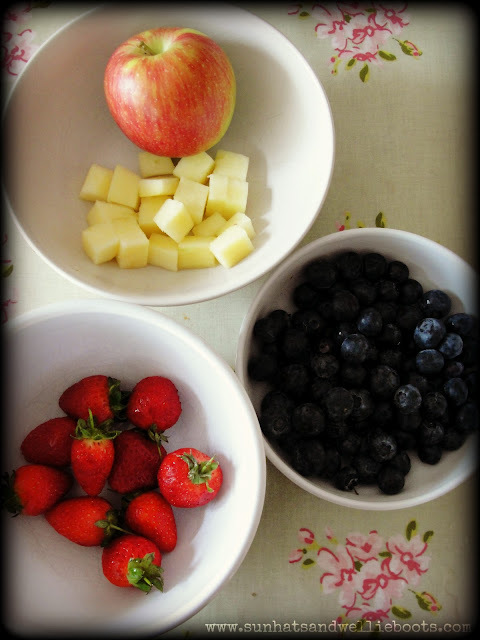 If you're looking for a way to encourage kids to eat fruit then give these picnic kebabs a try, I've been amazed at how even the most reluctant fruit eaters will happily tuck into these! Perfect for a celebratory breakfast, picnic or snack time! Enjoy!